A lot of us are a little scared at this time because of the present Cyprus real estate market. It may be true, even with the present market and the few problems what’s good for a seller can be good for a buyer, and if you know how to take advantage of this, you can get your property sold. 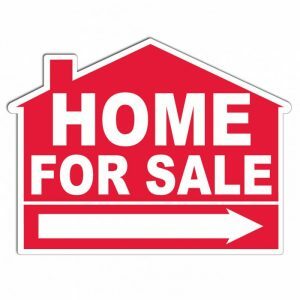 Let’s have a look at 10 simple ways to help you sell fast! Do a check on the agent’s online marketing. An astounding 92% of people who buy homes in Cyprus look up houses online. This is why it is good to have a look at the online marketing strategy of your agent or if you feel you are up to it do it yourself. A lot of us think it’s a good idea to set a high price at the start and then to lower it if they don’t get hits. This will lead to a delay in the selling of your property, there is also a matter of what image are you showing when if people continue to see your property price going down, this leads to insecurity and doughts they will assume that it’s not worth what you’re asking for or that there is something wrong with it. Be careful this can cause delays and eventually your home won’t sell. Videos are extremely popular these days, and a video can manage to convey what words and pictures cannot. Your phone will do even and walk around the neighbourhood. Talk about the home, the neighbours, what you loved and what not. Make sure that whatever your video recording device of choice is, it’s of high quality. The quality of the video is the first thing that people will notice and if you show them a low-resolution video of what you’re trying to sell, it’s not going to translate well. High-quality video recording options are very affordable today and you should aim to make at least 1080p videos (that’s full HD and will convey a message of quality). This doesn’t mean to renovate it completely, but a new paint layer and some flowers can change the entire aspect. Throw a huge block party before selling the house and let your neighbours spread the word. They might have friends or relatives willing to buy a new home, so why not take advantage of that? A potential buyer needs to imagine himself living in that home. If the home is filled with your personal belongings, it will be hard for him to do so, so make sure you let him see a clean and decluttered home. In case you didn’t know, the huge social network is used for most anything. Look up real estate groups and ask people to share your announcement. You should try to adapt to your prospective buyer’s schedule since it’s in your best interest. Going a little out of your way can help you a lot. Offer to leave good things for the future owners as part of the sale! A small gift or something you leave behind can mean a lot, such as stainless steel appliances or some nice decorations. Quality and professional photos can attract many people, so don’t let this opportunity slip away and invest in that if you can truly afford it. Or you could ask a friend who loves photography to help you with that. A good incentive would be to offer a form of ‘cash back’ to your buyer. First-time buyers who generally have little upfront cash would welcome this. Cash back can be used to pay for new furniture, carpets or other items necessary when buying a new house. Most of the popular mortgage providers and lenders allow up to a 5% cash back as part of the transaction.